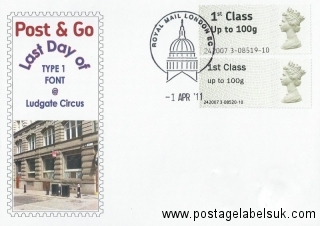 Roll Up Roll Up -Welcome to the (Ludgate) Circus- Wincor MA13 Flags, Machins and Robins in one place! 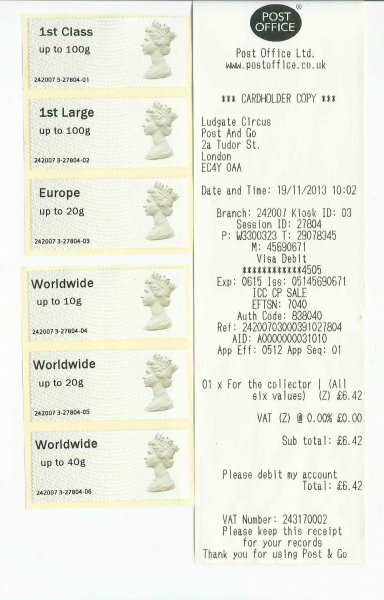 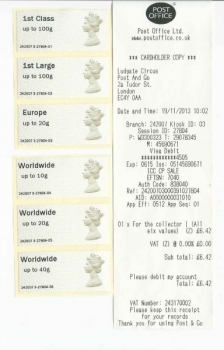 A surprise appearance of not one ,not two but three Wincor-Nixdorf printed MA13 Post and Stamps has occurred in the unique Self-service branch- at Tudor Street, Ludgate Circus, London EC1. The latest printings appear to have been installed in the last few days, a visit earlier this week has revealed. 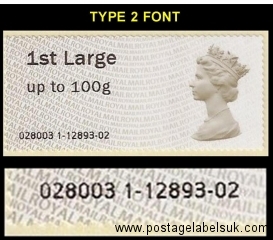 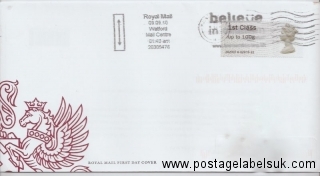 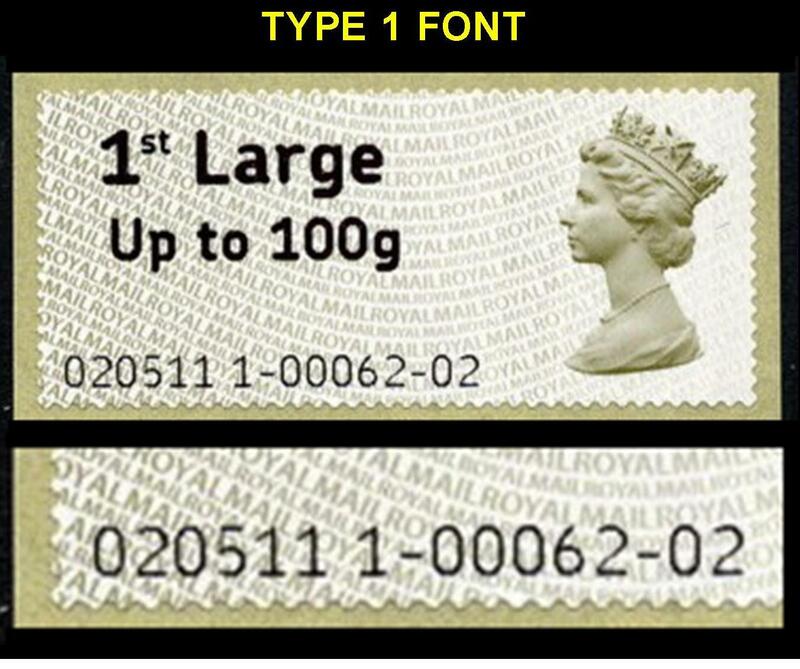 It certainly is an interesting www.cgfp.org/buy-norvasc-online/ development and has provided the last variants of the MA13 Post and Go stamps in the operational ‘Wincor’ format. 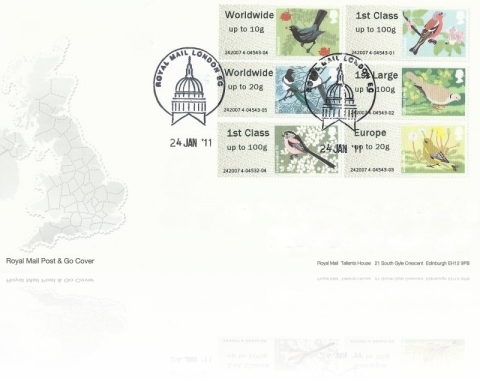 It had to happen -Post & Go V2 produces rare birds indeed! 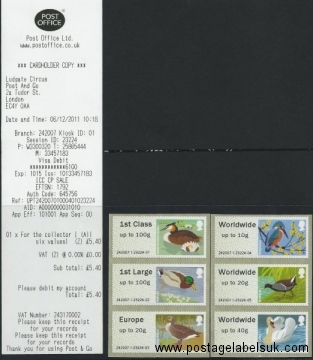 As the Post and Go V2 upgrade is now almost complete, those very few branches that still were using Birds 3 reels have produced a six completely new stamps- previously unissued Worldwide 40g versions of Birds 3. 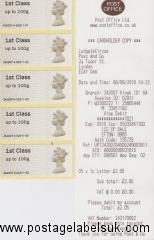 Branches that have been buy tamoxifen online canada confirmed as producing this value from last Friday are Grimsby, Dartford, Hyde and Ludgate Circus. 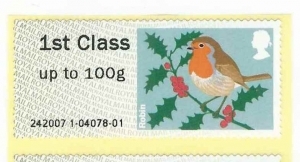 This value is likely to be the RAREST of all Post and Go stamps and the KEY value of this set. 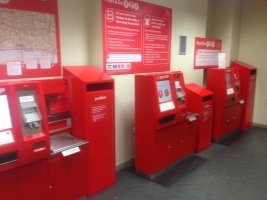 Font upgrade for Post and Go Kiosks starts at Ludgate! 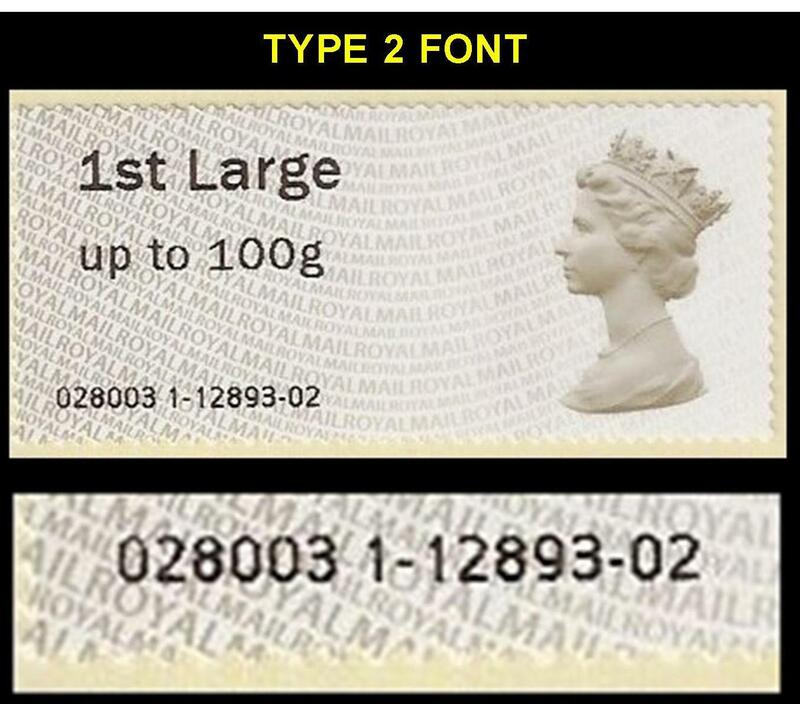 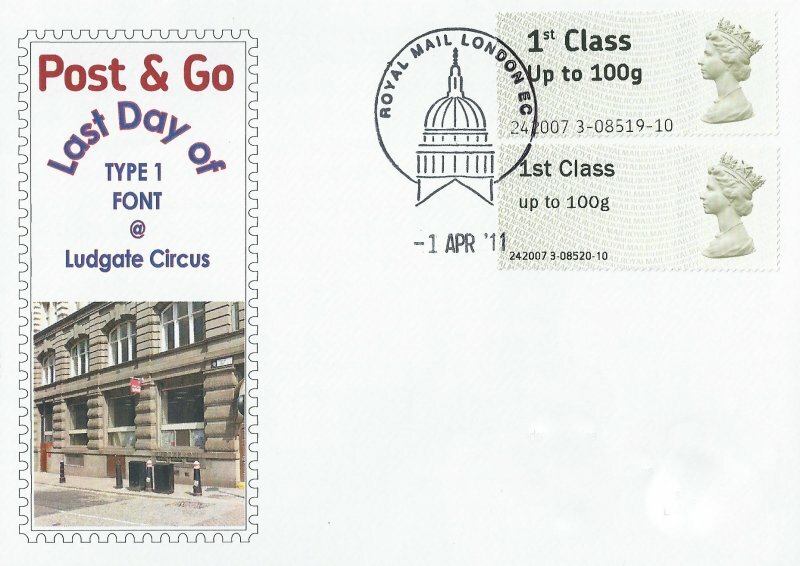 On April 1st 2011, The roll out of the ‘Type 2’ font commenced with the upgrade of Kiosks Nos. 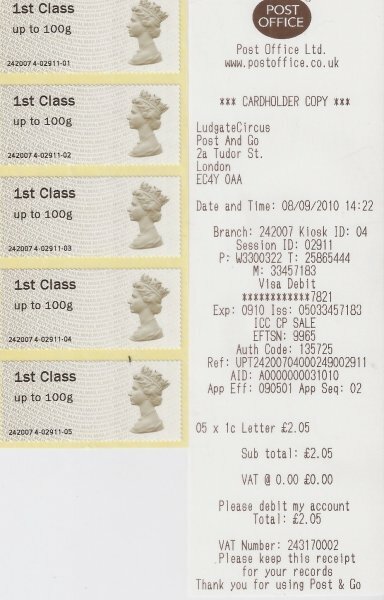 1-3 at the Ludgate Circus ‘Tudor Street’ self-service facility. 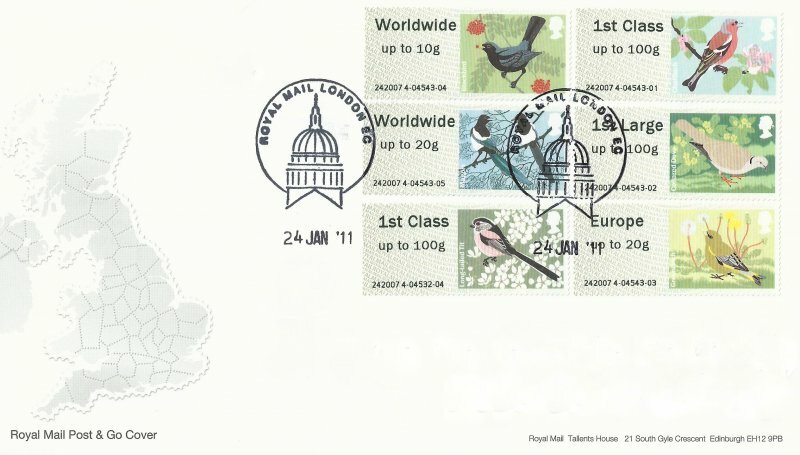 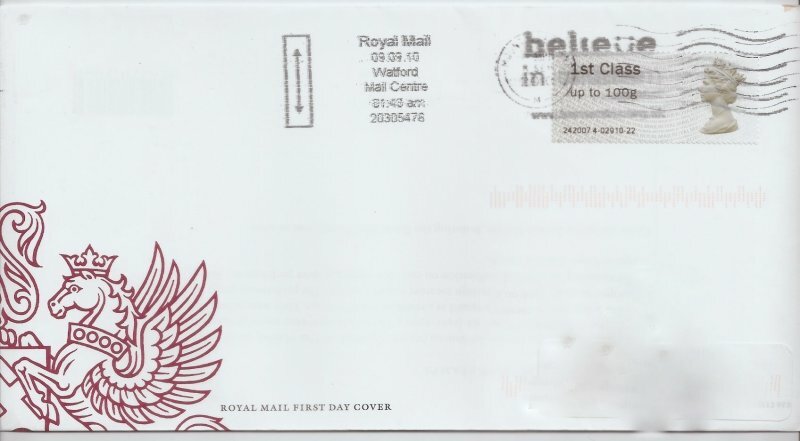 Shown is a last and first day cover showing the adjacent session numbers of the stamps vended either side of the upgrade. 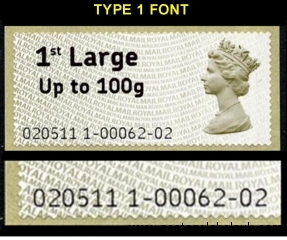 The upgrade have continued throughout this week, with those sites in London not already upgraded to the Type 2 receiving the new font. On April 1st The remaining three kiosk were upgraded to Type 2 font, in preparation of receiving Birds 3 Stamps.